Eliminate scratches, dust, and moisture from your Fujifilm XF 16-55 mm f/2.8 R LM WR lens, with the Fujifilm 77 mm Protector Filter. 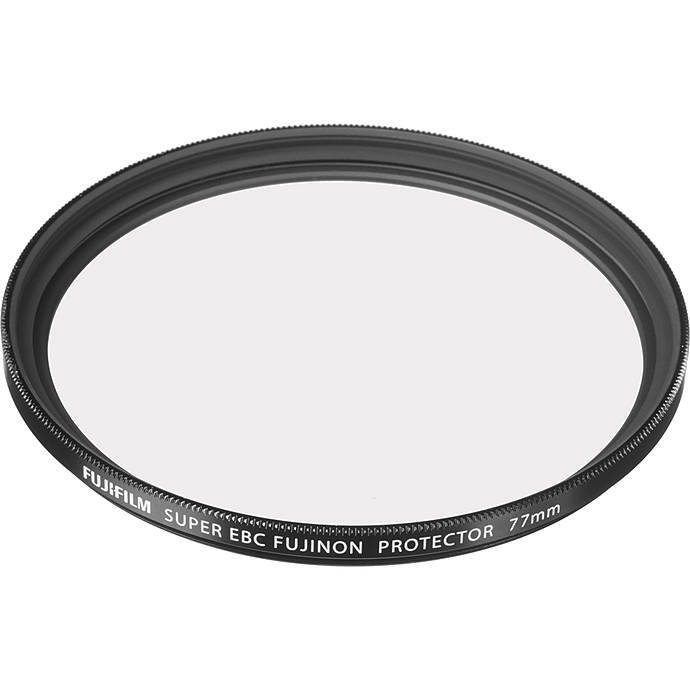 In addition to providing a 1x filter factor, this simple, clear filter offers general protection to this lens and other third-party lenses with 77-mm front-filter threads. This lens filter is multicoated and has Super Electronic Beam Coatings that improve light transmission and reduce lens flare. The lens filter does not create any additional coloration or contrast, and requires no adjustments to the exposure while in use. For easy portability and storage, a plastic case is included with the lens filter. Rated 2.0 out of 5 stars.